Merry Christmas to you all! Paul & Tony are back for a festive show focusing on our recent incursions to the Midlands Team Event and Mikey’s Xmas Party. Catch us on any good podcast provider or, for MP3 download and direct stream via tfwp.podomatic.com. Leave us a review on iTunes or your podcast provider! 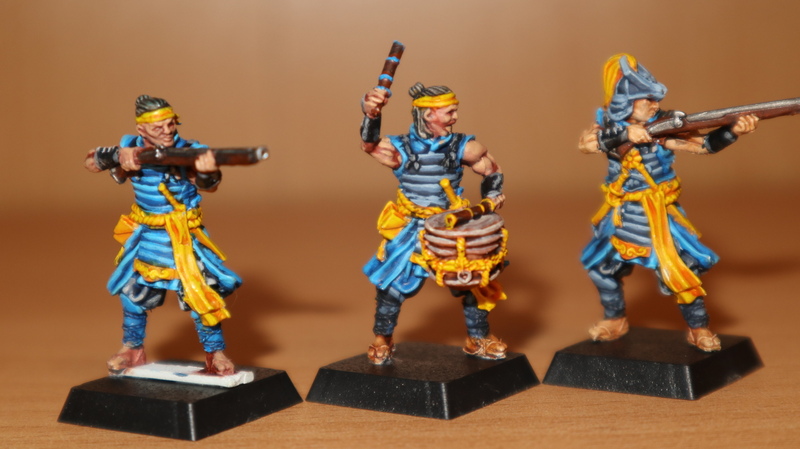 Step-by-Step: Painting the Light Infantry Champion of my Dragon Empire “Tanegashima” handgunners.